As dawn broke over Europe this morning, a battle for its very heart and sole has begun. The evil empire of Axis forces has invaded, and our brave boys of Britain and France have gone to war. 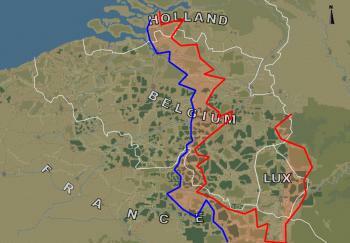 French commanders are preparing for a major offensive, while the Brits are intent on capturing vital ports and airfields in the North. Commanders are saying a Victory at this time is assured. January, 2003 - Philipville region. Watch this space for new events and promos. Get the latest official news and announcements from the developers. Visit the official HQ and get the latest news, articles and resources from the community. Visit poll.wwiionline.com and cast your vote on gameplay and feature ideas. Comics about a Division of Canadian soldiers on the virtual battlefield of WWIIOL. Meeting place for allied players. Groundwork for the axis featuring tactics, squads, training, info, and more. The web's leading resource for real-world data on WWII vehicles and weapons. © 2001, 2002, 2003 Playnet, Inc. All Rights Reserved. Playnet Inc., World War II Online , WWII Online Cornered Rat Software®, Unity 3D Engine are trademarks of Playnet Incorporated. Other marks used herein are those of their respective owners.